"Data Protection Software:Backup & Recovery Cloud Databases"
To handle the data protection requirements of this new generation of real-time applications, enterprises are increasingly turning to data protection software for distributed and cloud databases. Data protection software provides automated, scalable, consistent and reliable recovery for big data and cloud environments. 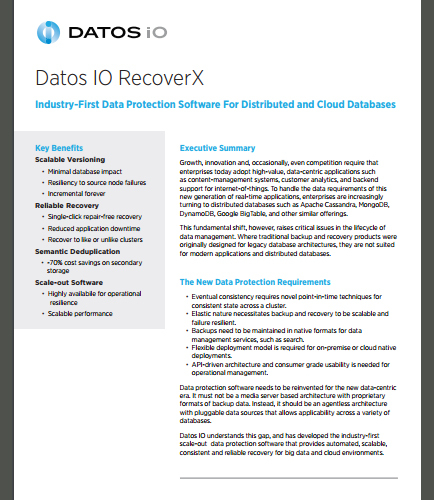 What are the new data protection requirements for cloud database security? How this fundamental shift raises the critical issues in the lifecycle of data management? In this whitepaper, we will review different challenges for data storage security and privacy protection in the cloud computing environment.